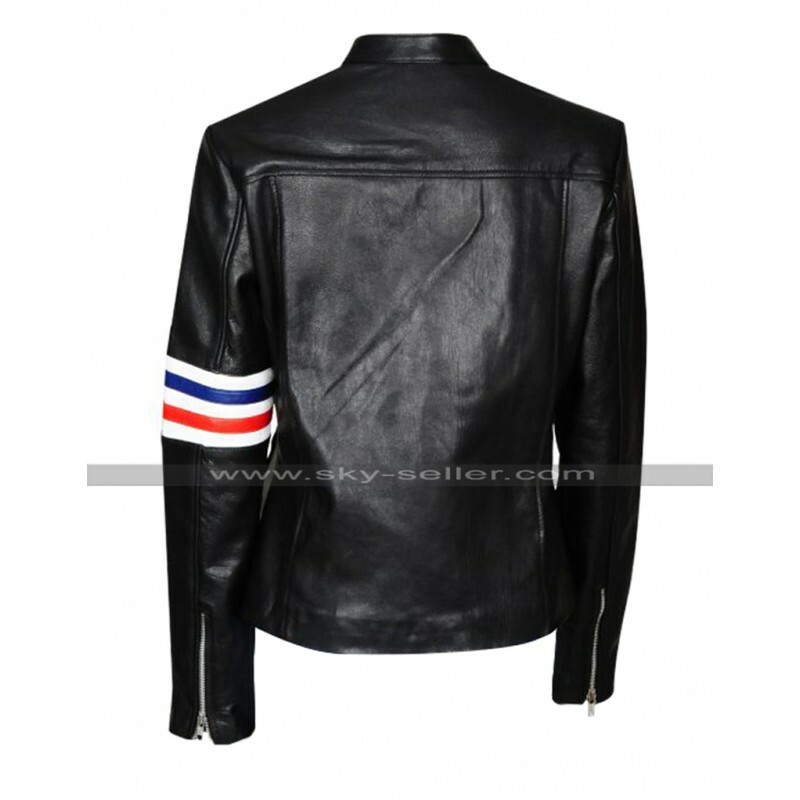 Enhancing the entire personality with an outclass look is something people usually look for and this Future Man Jacket is also one such beauty which must be considered as a must in all regards. 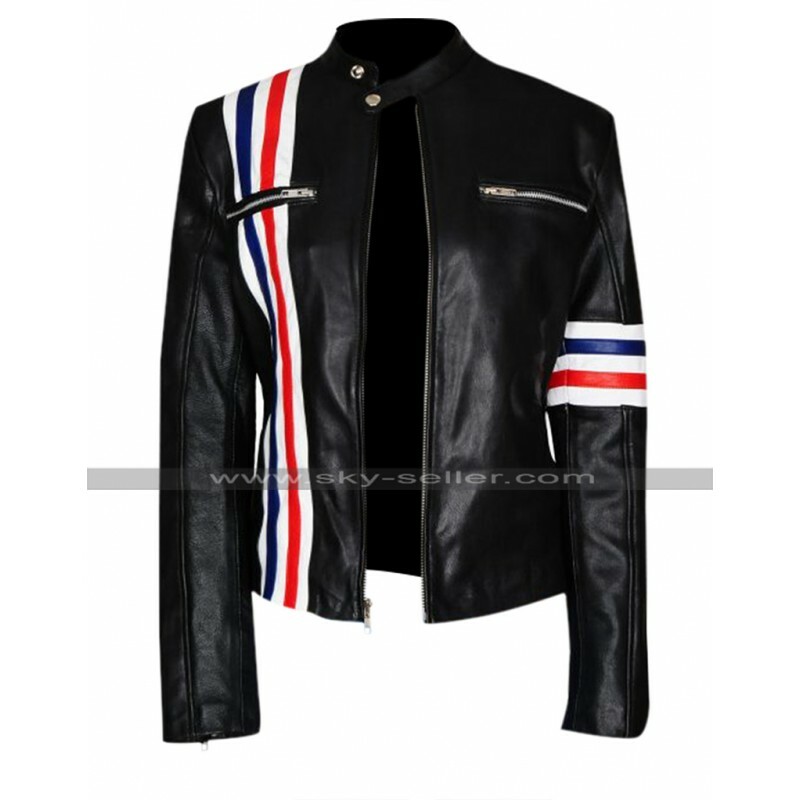 This Tiger Jacket has been made using the best quality leather being either genuine leather or being faux leather finished material. 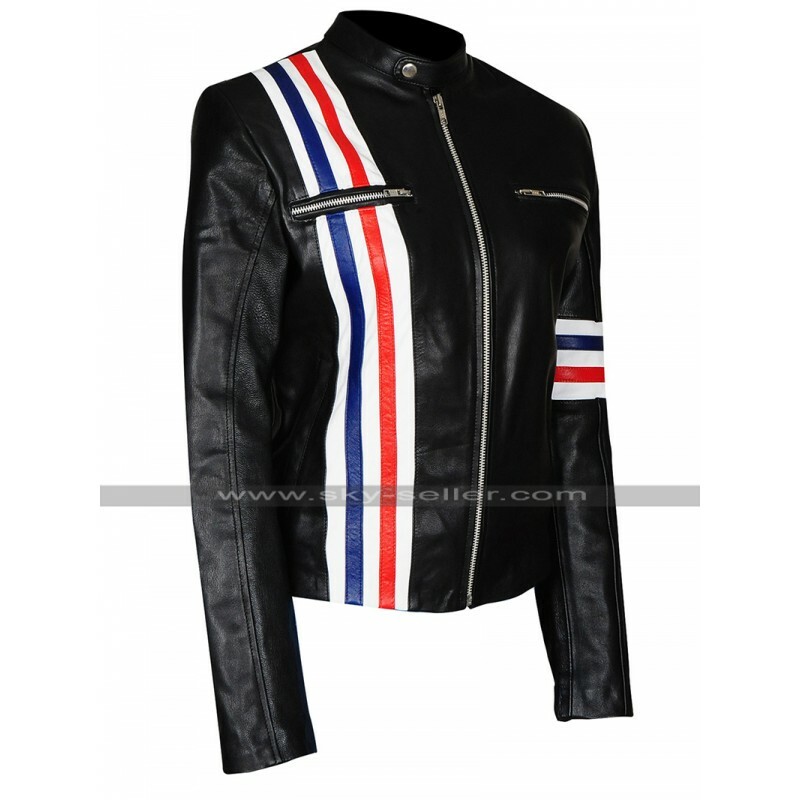 The base color of this Eliza Coupe Jacket is black and gives a very glossy look to be considered followed by stripes in three colors being red, blue and white in color at the front side on one area. This Tiger Biker Jacket has two pockets with zipping at the front and the sleeves are in full length giving a very subtle outlook. 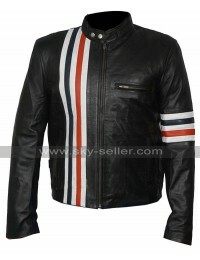 The overall look of this Multi Stripes Jacket has been featured with a great style and finish in terms of piping and neat intricate stitching patterns which define the quality of the Leather Jacket itself. 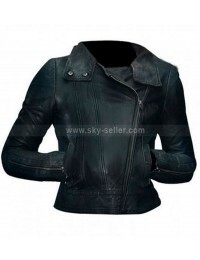 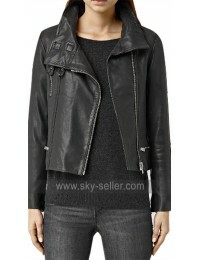 This Future Man Biker Jacket is a super amazing choice which may be grabbed formally as well as on casual occasions.